Our Lady’s Well, Bantry, Co. Cork. 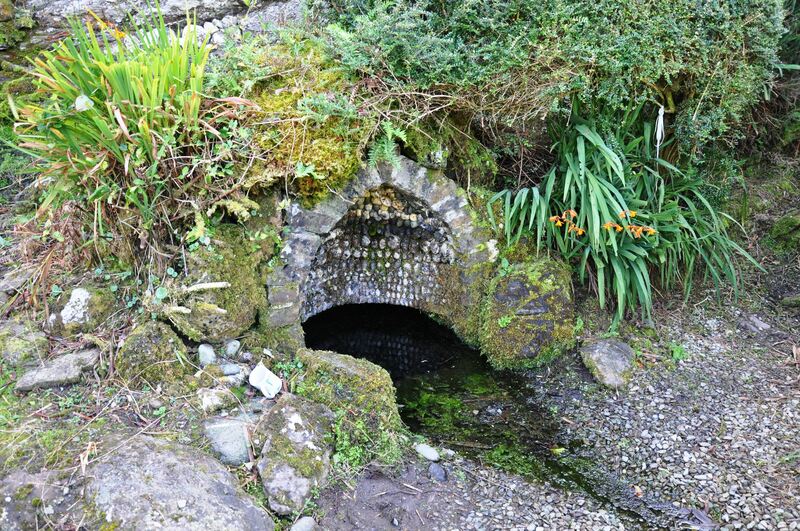 The photos shows a rural holy well located a little outside the West Cork town of Bantry. The well is covered in a semi-circular shell-like structure which is decorated with stones embedded in a, presumably, concrete back. A small amount of water trickles out of the well and along some gravel. The well is located at the base of cliff-face, greenery and shrubs mostly surround it, with some bedrock as well, a gravel path runs in front of it. The water is rather stagnant. A cup rests next to the well.